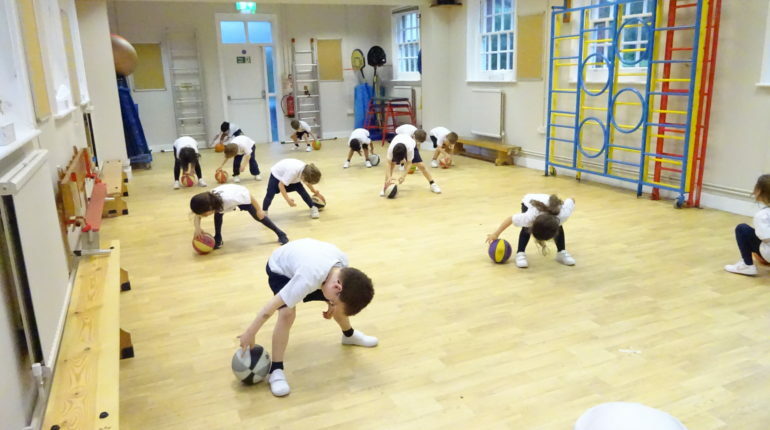 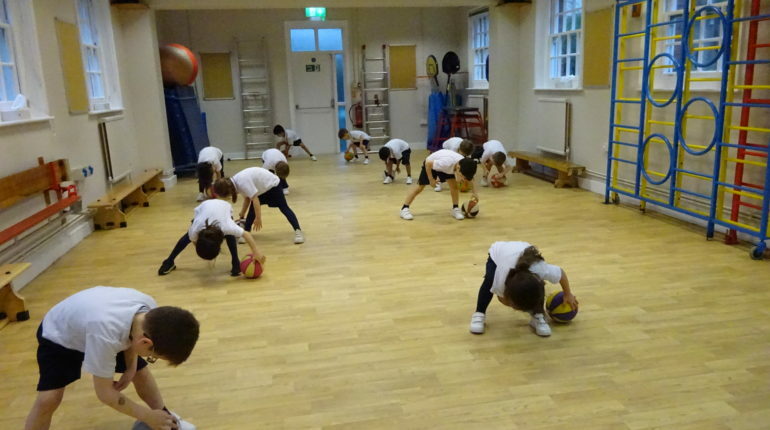 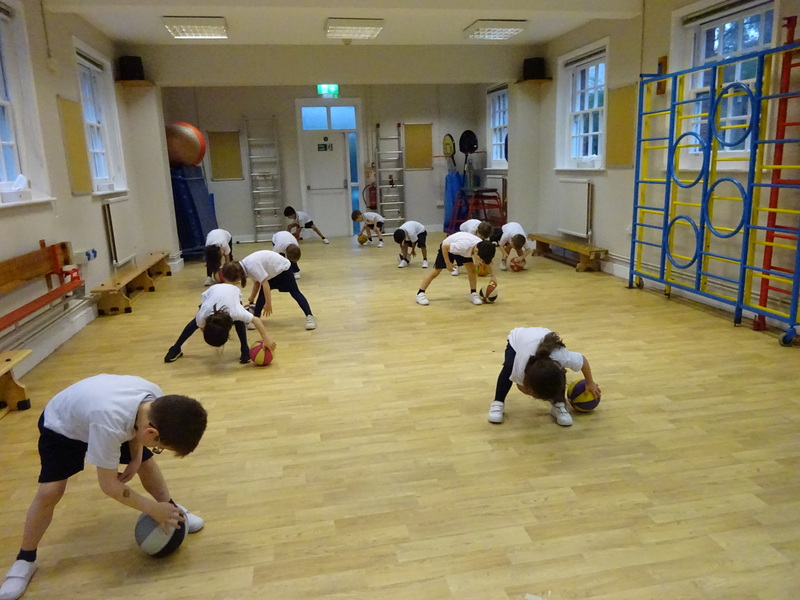 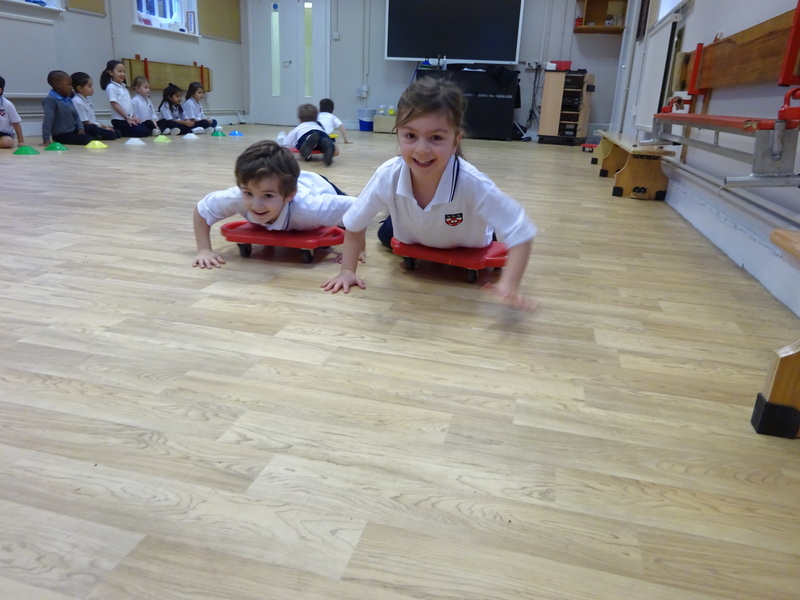 This term our school topic is ‘On The Move’ and the children in Year One will be exploring the use of wheels. 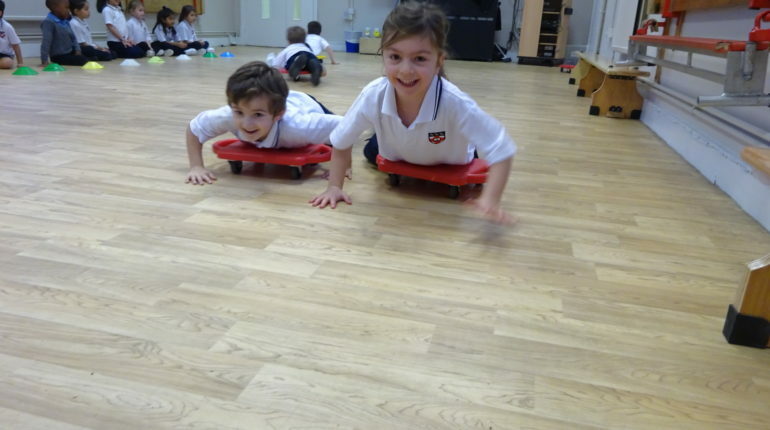 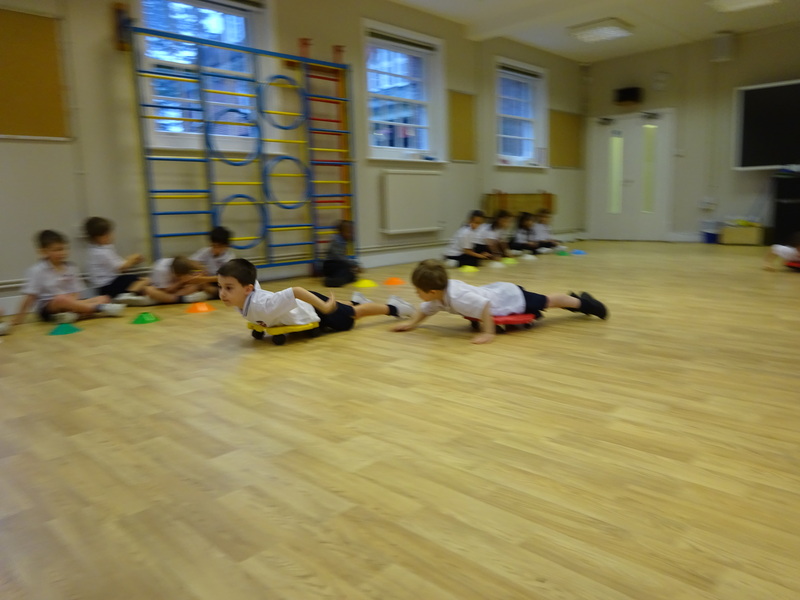 In PE we have been using grip scooters and learning how to ride them in different ways. 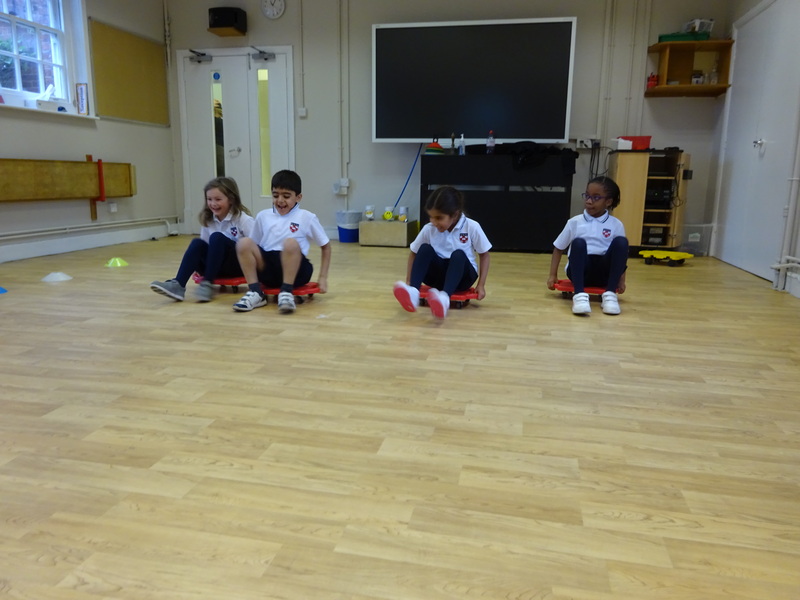 We started the lesson by discussing how to ride a grip scooter safely. 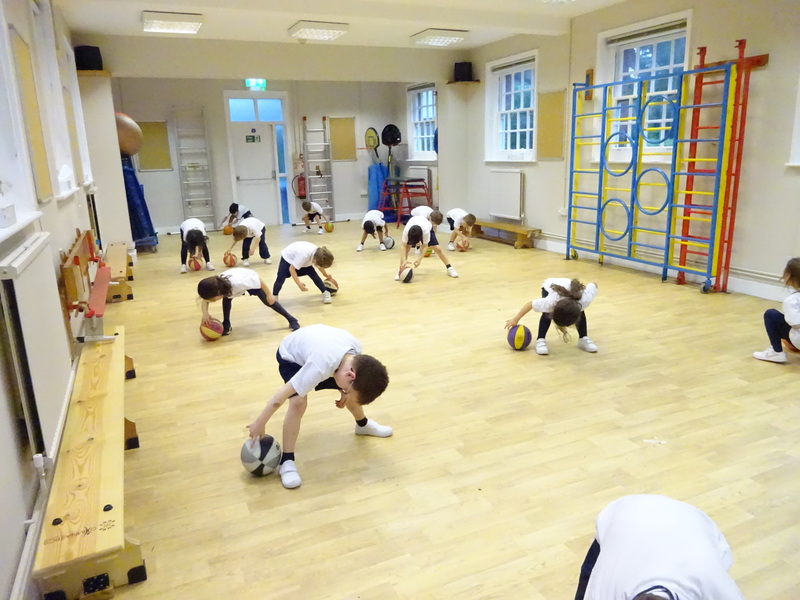 We agreed that we must watch fingers, hair, obstacles and other people. 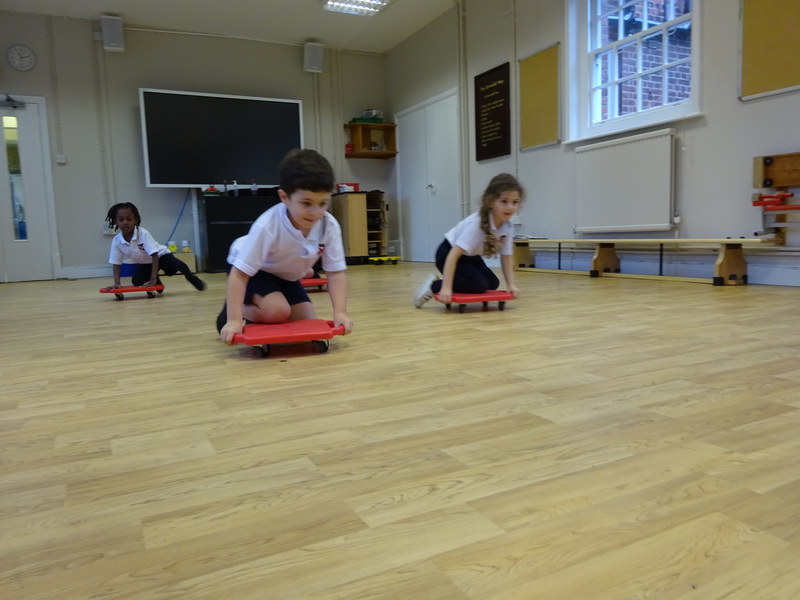 Then, we took turns to ride and learnt basic scooter skills such as forward and backward slide, and also balancing on the scooter. 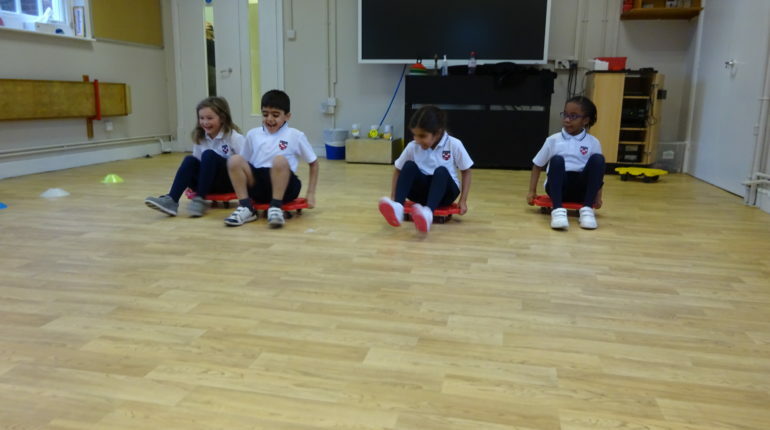 After a little while we were all feeling confident and ready to try something more adventurous. 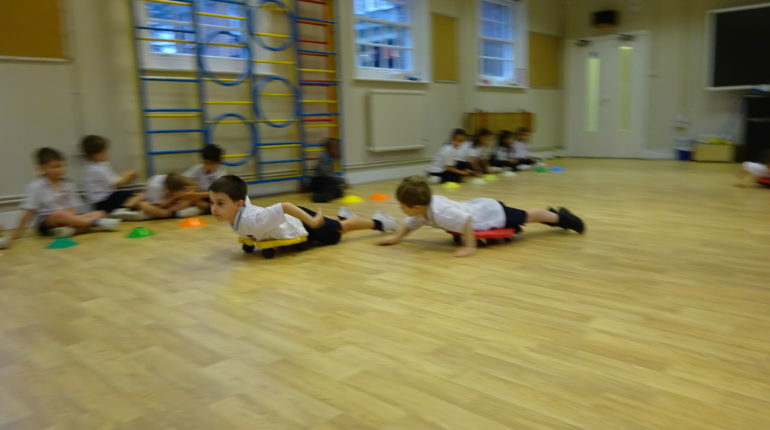 We explored riding on the stomach, on the back, and on the knees. 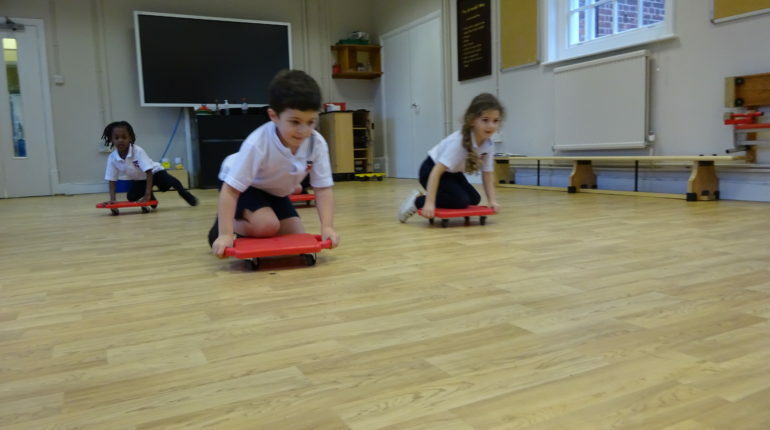 In the following session the children will apply these skills into activities such a scooter relay, a partner scooter relay, scooter tag, and scooter scramble.